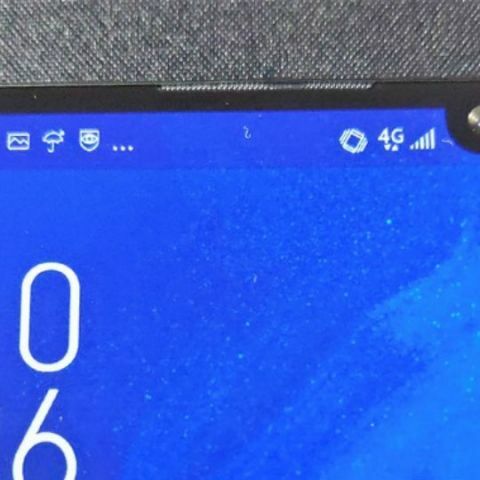 Images and a video said to show the Asus Zenfone 6 suggest that the company may opt for a ‘waterdrop’ notch design, but it will be placed slightly towards the right. Following its arrival on the grand stage with the iPhone X, the notch has become a feature that is now taken for granted. However, the notch itself saw various iterations over the course of the year, with Vivo, Oppo and OnePlus offering the ‘waterdrop-style’ notch that took up less space and offered a greater screen-to-body ratio. Now it looks like Asus’ next flagship smartphone may sport a similarly styled notch, but it might not be centered. Italian website, android.hdblog.it claims to have gotten its hands on the Asus Zenfone 6. According to the photos and videos posted on the website, the ‘waterdrop’ notch on the smartphone will be placed to slightly to the right, instead of being on the center. Everything else about the phone seems to be par for the course. On the back is a dual-camera setup with a fingerprint sensor below it. There also seems to be a USB Type-C port and a 3.5mm audio jack. Other details about the phone are not yet known. Asus unveiled its Zenfone 5 series of smartphones at MWC this year, and it stands to reason that the company will follow suit and unveil the smartphone during the same event this year. Another major smartphone manufacturer expected to unveil its flagship device around MWC 2019 is Samsung. This year, the company is tipped to ditch its iris scanning technology in the Galaxy S10 in order to make the bezels even slimmer. In its place, the South Korean company is expected to use an under-display fingerprint scanner that has been developed by Qualcomm. The new ultrasonic fingerprint sensor is said to be faster and offer a larger recognition area. The report adds that it may allow for a sensor area of up to 30% of the screen. which one is better \"GRAND 2\" or \"ASUS ZENFONE 6\"